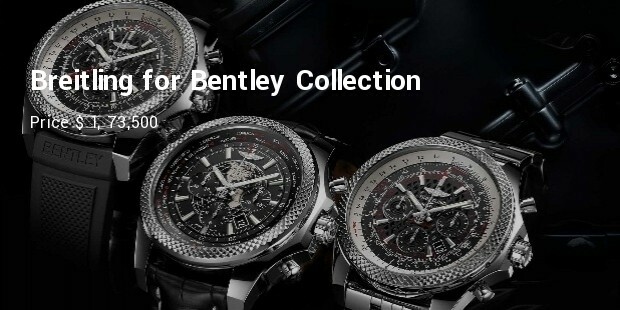 ‘Breitling’, a Swiss company is one of the best brands in international watch market. The brand has enjoyed a loyal set of customers since its inception in 1884. It has its head-quarters at Grenchen. 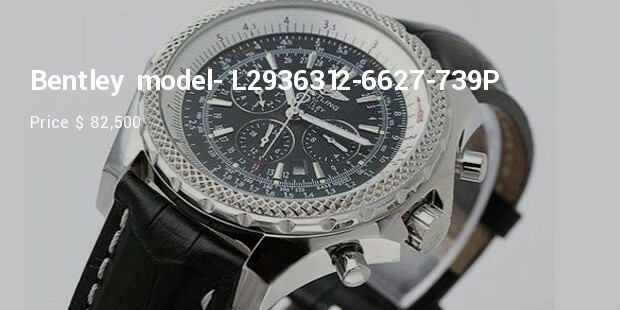 Such watches have been customised for professionals like sportspersons, navigators, and performers. Its excellent quality and signature styling the watch is a novelty and does its owner proud. The Company invests millions to refine its time-pieces to suit the necessities of its rich and famous possessors. 1. 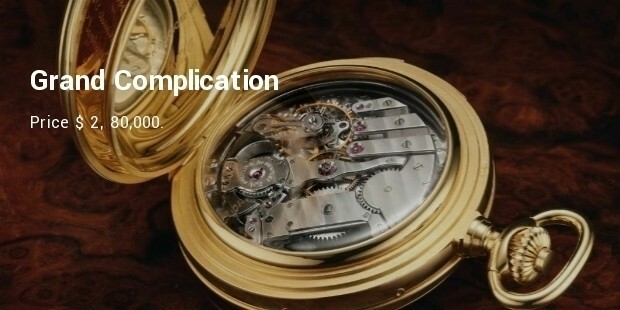 Grand Complication Price $ 2, 80,000. This pocket watch has been in vogue since a long time. This luxury watch has the best mechanism. Its 700 specially made parts adds to its unique, beauty, placing it among the costliest watches. Its case is specially made with 18 carat gold. 2. 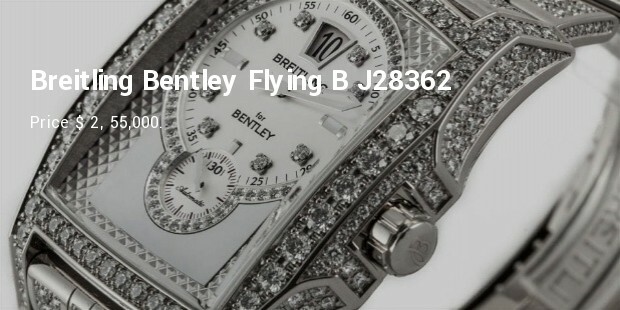 Breitling Bentley Flying B J28362 Price $ 2, 55,000. It is the rarest among the rare watches as only 50 pieces were produced. This piece boasts of the highest craftsmanship enhancing its exactness and elegance. 3. 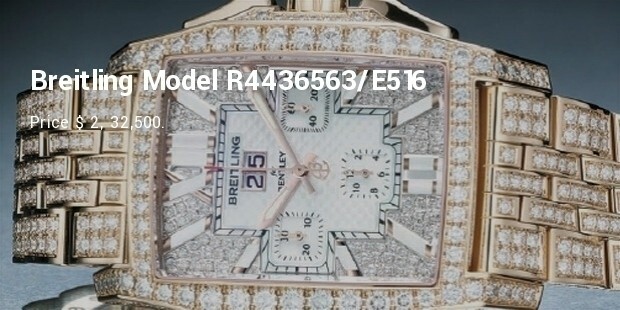 Breitling Model R4436563/E516 Price $ 2, 32,500. This watch has the best Swiss technology. Its craftsmanship is simply unbeatable and second-to-none in quality. Its rectangular face is studded with diamonds. 4. 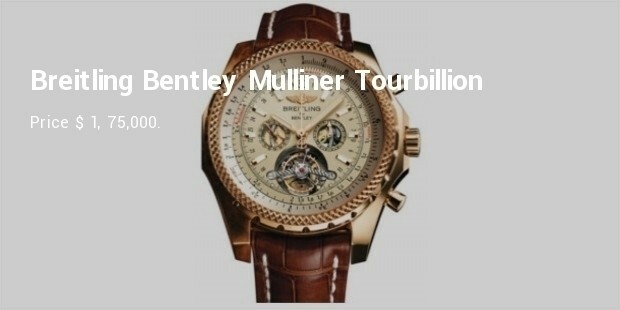 Breitling Bentley Mulliner Tourbillion- Price $ 1, 75,000. 5. 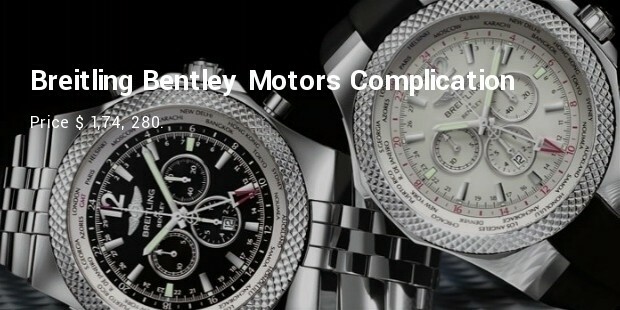 Breitling Bentley Motors Complication (model L18841TA-B788-761P)- Price $ 1,74, 280. Breitling watches are simply fantastic with their unusual features and craftsmanship.